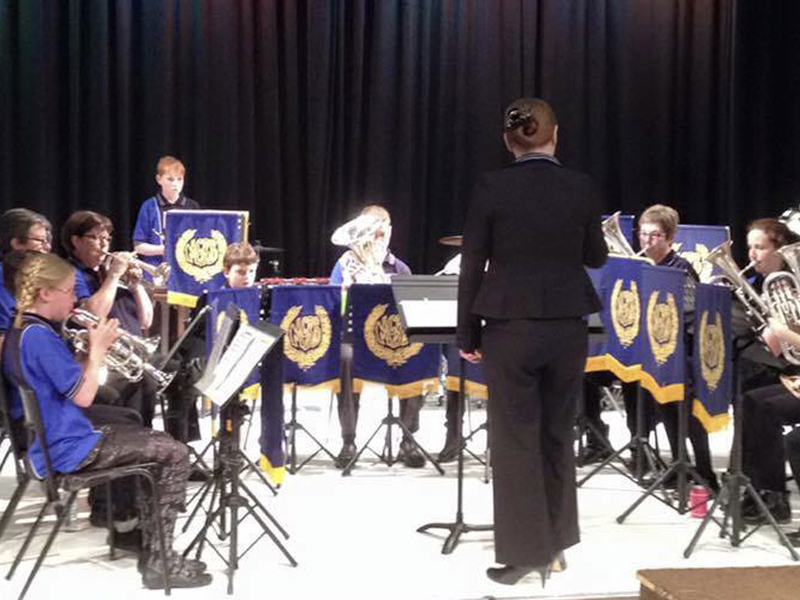 The Academy of Brass performs at a number of public concerts throughout the year, including events such as; the Maryborough Band Competition, the Bendigo Eisteddfod, the Marist Brass ‘Carols in the Cathedral’, as well as performing at local hospitals and nursing homes, and local festivals. 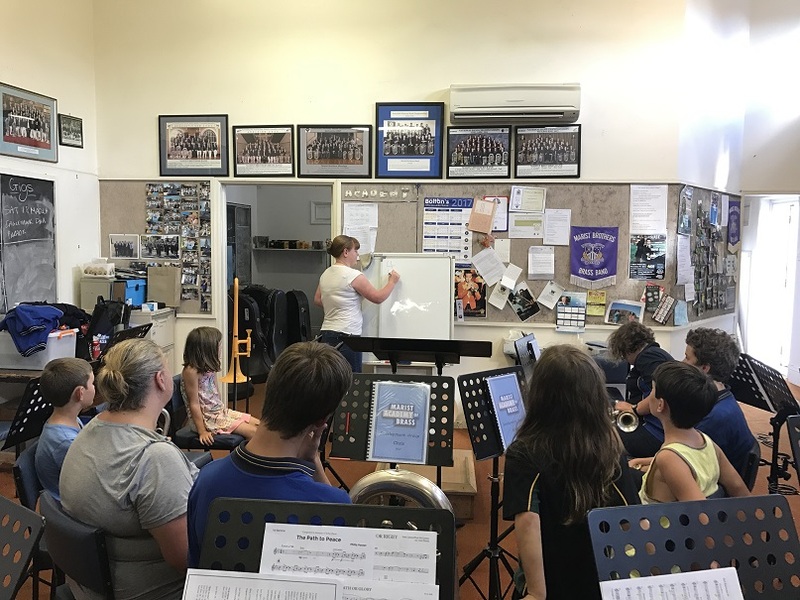 At times, Academy members are also given opportunities to play with the “Senior Band” (the Marist Brass Band) and sit alongside experienced musicians to further their musical education. Academy students are also strongly encouraged to perform individually throughout the year. Opportunities include; busking at the Eaglehawk Dahlia & Arts Festival, performing a solo at a competition or public performance, sitting a formal exam with the Australian Music Examinations Board (AMEB) and many more! The Academy is conducted and run by Miss Claire McLean. Claire comes from a very musical background, with experience playing with numerous musical groups and organisations from a young age. Claire’s principle instrument is French Horn, however she also plays Tenor Horn, Piano and Trumpet. At present Claire plays with a variety of ensembles in Bendigo and wider Victoria, including the Victoria Youth Symphony Orchestra, the Bendigo & District Concert band and the Bendigo Symphony Orchestra. Currently, Claire is the secretary of the Marist Brass Band, where she also plays solo Tenor Horn. The Academy rehearses on Tuesday afternoons from 5:30-6:30pm during School terms. The Academy also runs a development group for beginners on a Wednesday afternoon from 5:30-6:30pm. 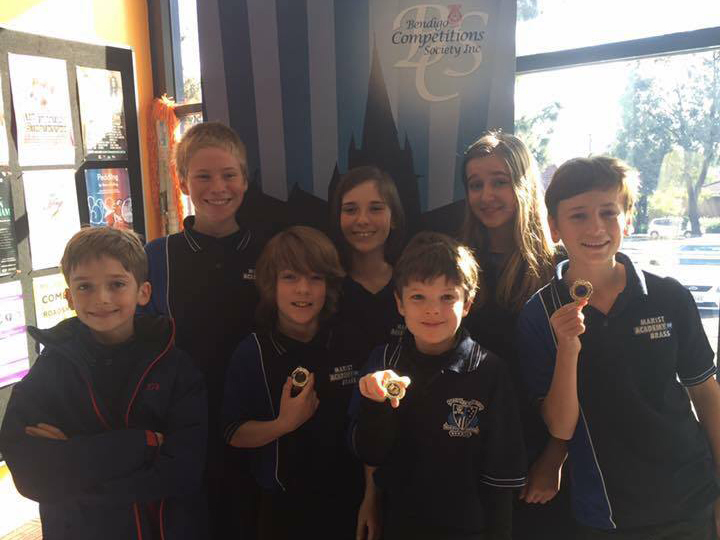 The cost is $50 per school term, with the fee covering instrument hire, music, and tuition. 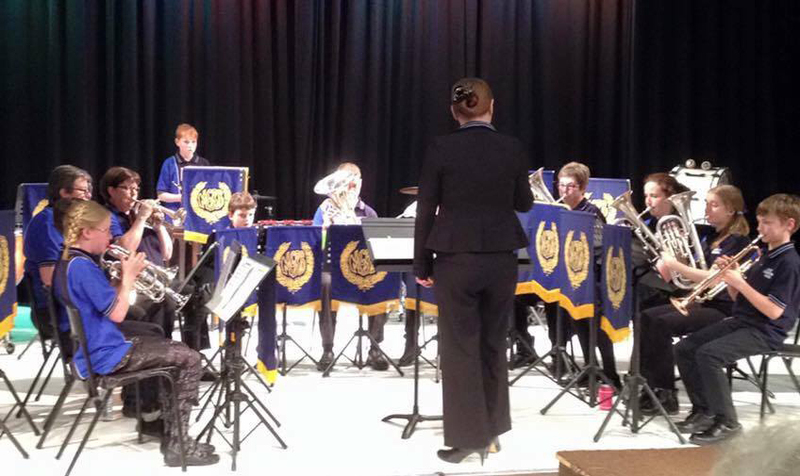 Each student also receives a music book, and an Academy of Brass Uniform Shirt which is worn at performances. Please do not hesitate to contact the band for further information regarding the Marist Academy of Brass, or drop into one of our rehearsals at the Marist Brass Band room between 5:30pm-6:30pm each Tuesday during school terms.